The modest tile design lets the Grid Shower Curtain by ferm Living fits into any bathroom. The cotton curtain is 100% water-repellent and thus reliably prevents the bathroom from flooding with its acrylic coating. The metal eyelets and stainless steel rings make it easy to install and admire the Grid Shower Curtain immediately. Despite of all their contact with water, even shower curtains should be washed from time to time. 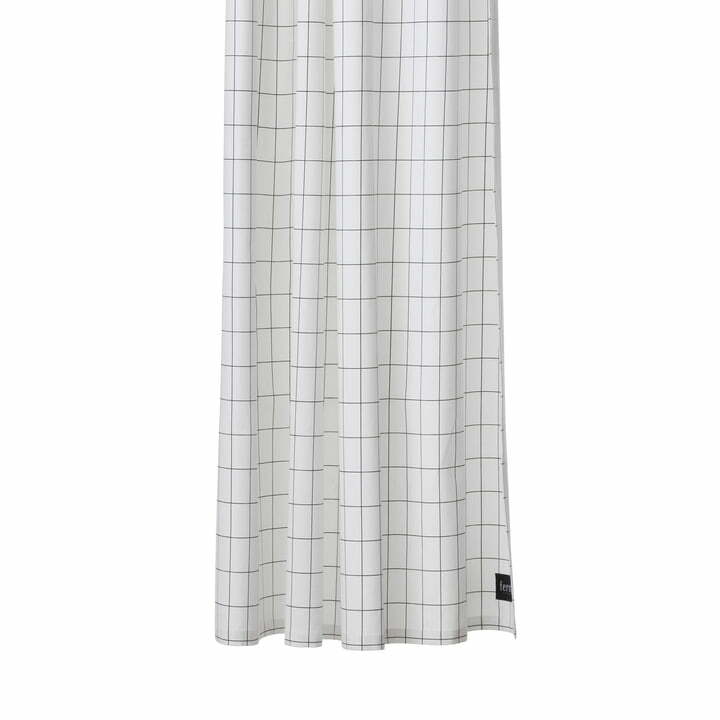 The Grid Shower Curtain by ferm Living can be washed at 40°C. The Grid Shower Curtain goes well with the Laundry Basket with the same pattern. Matching textiles for a bathroom where nothing slips through the grid.